O’lasavath has been contributing to the blog for a long time. Whether he is delivering pithy comments for movie trailers or putting together a football team of nothing but characters from romantic comedies he has been around a while. However, this is his first review. He got tasked with watching Chernobyl Diaries. Co-writer John already reviewed the film but I have a strange fascination with Diaries. I find it intriguing that a movie about radioactive mutants rarely shows the radioactive mutants. So, I wanted O’lasavath’s opinion of the film. Here it is! Thanks O’lasavath! Chernobyl Diaries tricked me. I went into the movie expecting to absolutely loathe it. I prepared a slew of vicious put-downs and jokes in anticipation for how bad this movie was going to be. I felt like an archer at the Macy’s Day Parade: expecting a never-ending line of easy targets to take down. None of that happened, however, as the unthinkable happened. I didn’t hate the movie. I went from wanting to hate the movie to pulling for it to succeed. 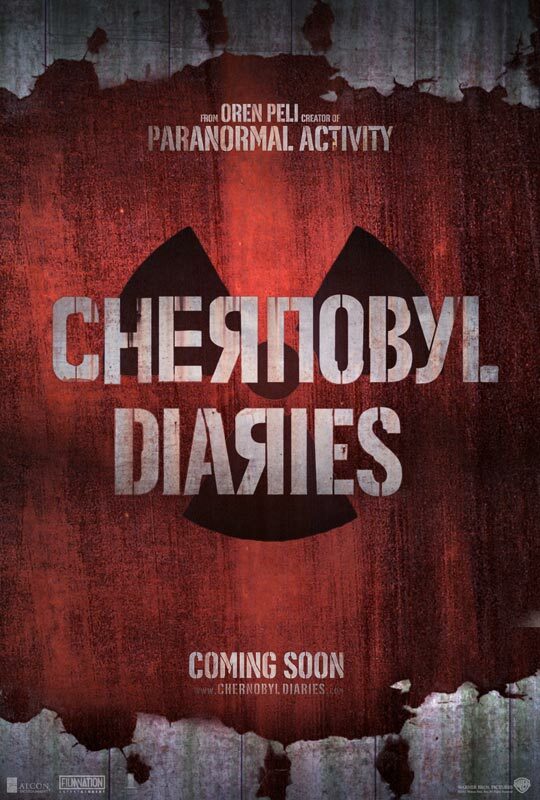 Chernobyl Diaries comes from producer Oren Peli of Paranormal Activity (read all about the series here, here and here) fame. Diaries is not a “found footage” horror film like the rest of Peli’s back catalog, although you would not be blamed for thinking it was. The plot of Chernobyl Diaries is pretty threadbare, but that’s standard for horror movies. It involves four American tourists on holiday in the Ukraine. The infamous Chernobyl nuclear power plant coincidentally also happens to be in Ukraine. 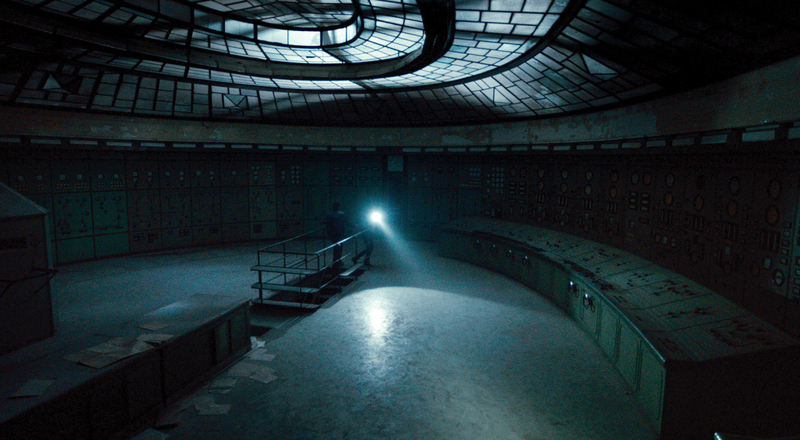 You can already guess that someone decides it would be a great idea to sneak into Chernobyl. The predictable plot isn’t Diaries biggest problem. Horror movies don’t need intricate plots to be effective. A great setting and immersive atmosphere are wonderful tools to help convey a sense of dread and terror. This is the movie’s biggest misfire: it absolutely squanders a terrific setting. The Chernobyl disaster provides plenty of horror movie potential in a post nuclear fallout atmosphere. Visions of mutant animals and cannibals immediately pop to mind when discussing such a scenario. Whether due to budget restraints or poor judgment, the film absolutely underdelivers in that regard. The majority of the threats to the characters come in the form of wild animals or radiation poisoning. There are mutants, but their appearance is too little and too late. It’s not a good sign when you’re watching a film and imagining various ways in which this movie could be better. Chernobyl Diaries had great potential, but ultimately it falls far short of what it should’ve been.